Reactive Drainage and Plumbing is a business based in the Wirral that specialises in providing drainage services to residential and commercial buildings. Available throughout the day – and able to come out to your premises in a short time. RPDNW offers a wide array of services, such as Blocked Drains Wirral, Blocked Drains Liverpool and Lead Pipe Replacement. Originally, we had set out to improve the online presence for the site – but two and half years later, the site pulls hundreds of new users each month. 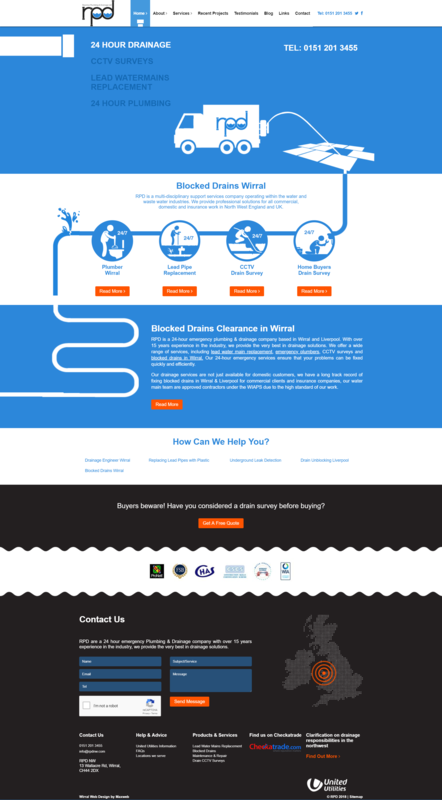 Through extended linkbuilding, correct keyword research and a well-designed and optimised site, we can comfortably state that Reactive Drainage and Plumbing is one of the drainage companies with the highest online visibility rates within Merseyside.